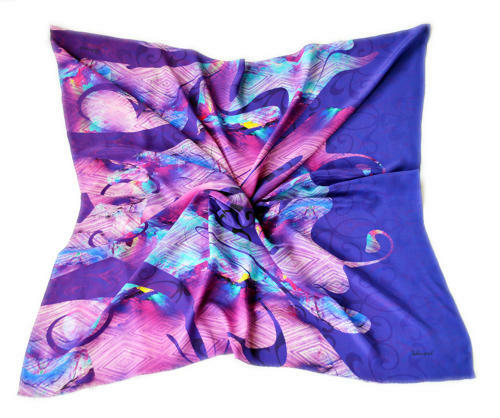 Digital printed silk square scarf with a handrolled edge. A chic and elegant accessory in vibrant colours and prints to complement this season’s look. * As each scarf is individually hand-made, slight variations in size may occur.